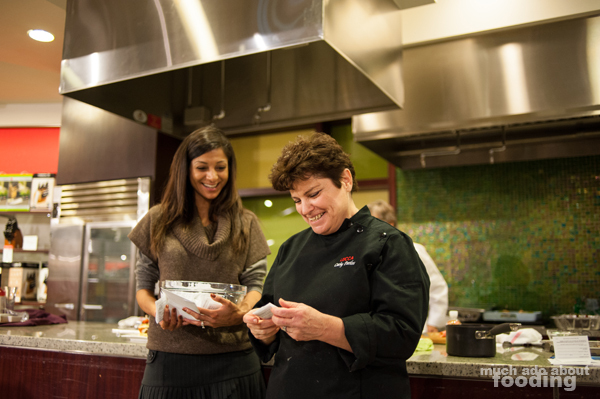 It's never too late to learn anything new nor is it to get ideas for making life easier, especially entertaining guests and friends. 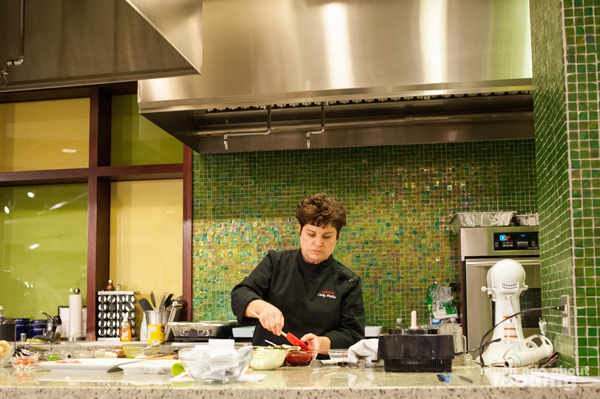 It also never seems like a problem for the talented Chef Cathy of LUCCA Cafe to be the teacher and sharer of such fine things. 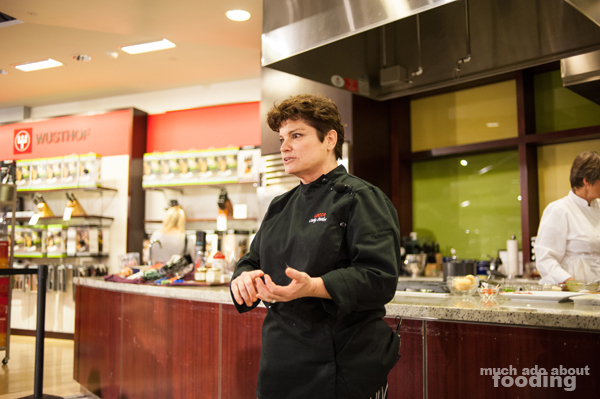 Yesterday, the gracious chef hosted a cooking demo at the Macy's Home Store at South Coast Plaza where she put together two simple (but delicious!) appetizers in front of a sizeable audience. The general inspiration for these bite-sized goodies? The Superbowl! After all, why wouldn't you want some delightful snacks for game day? 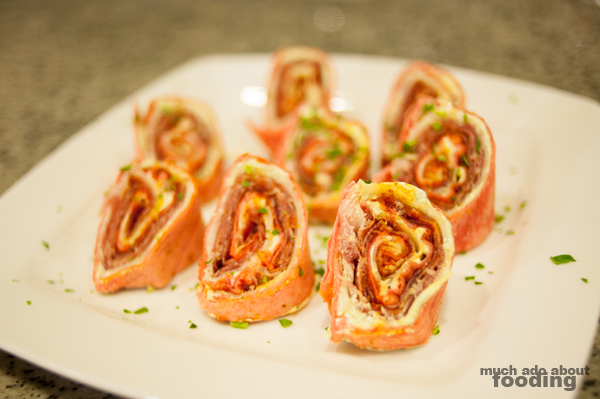 Her Italian Hye Rollers got star treatment with her on-the-spot made pesto spread and easy-to-do sundried tomato paste. With some pesto and cream cheese in the food processor, she created a simple spread for the tortillas. 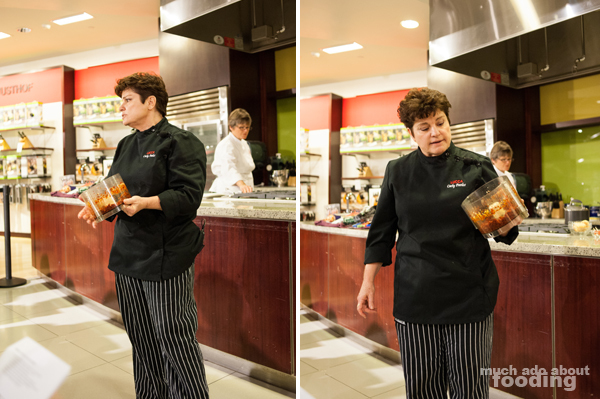 Then Chef Cathy demonstrated to the audience just how easy it was to make a paste out of the sundried tomatoes. The advantages of doing so for something like these rollers were the ease of spreading and the dilution of the strong tang from sundried tomatoes! As for the rest of the fillings, we got our own star treatment of Italian cold cuts as prosciutto, salami, and coppa were laid inside. There was also thinly sliced Provolone for that cheese need. They were quite tasty! 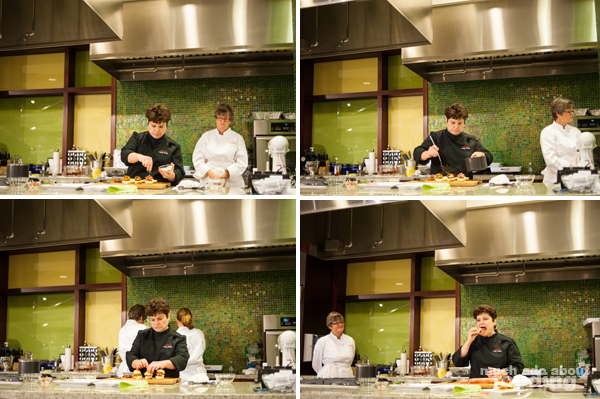 The lesson of that one preparation that Chef shared with everyone was that it is such an interchangeable, easy concept that it can be done with everything. I agree! Let's use this model for gatherings! Just a tip from her: you want to let the whole rolled tortilla chill approximately an hour prior to slicing properly just so the cream cheese will harden properly. Good to remember! 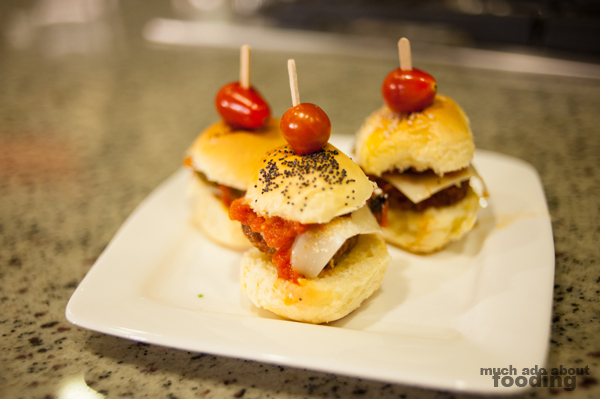 The second easy-but-seemingly-fancy-schmancy appetizer was her Italian meatball sliders. Making her own meatballs made the recipe more time consuming but Chef Cathy did explain that one could make those ahead of time to freeze or purchase them from stores. The marinara that the meatballs are cooked in makes a difference in this bite-sized slider. 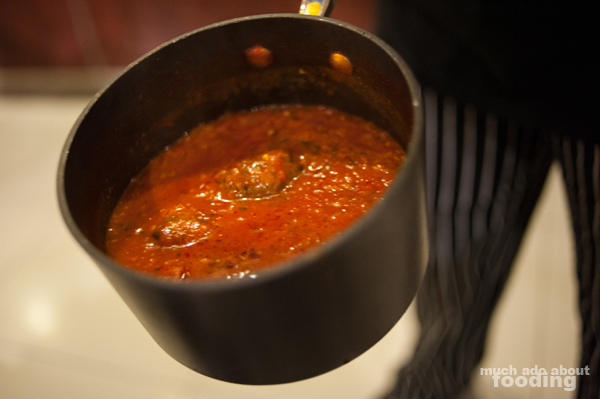 Stacked with more Provolone, marinara, roasted bell peppers, and Parmesan cheese, the meatballs in their juicy sauce were craftily placed between miniature buns and pierced by a toothpick with grape tomato on top. These all were placed in the oven for a five minute flash heating before consumption was to be had. Lovely and quick dish! At the end of it, a winner was drawn from the container into which we had all entered to win a gift card. 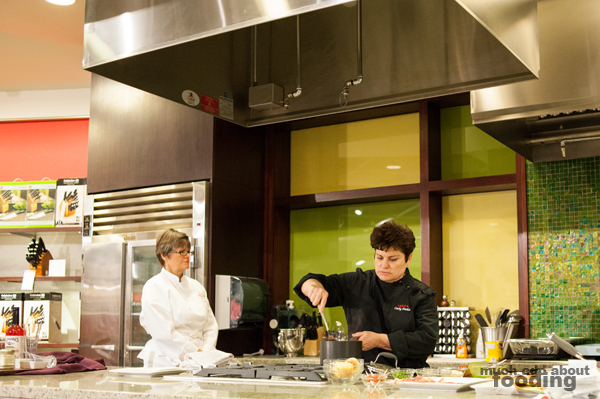 Then some people dispersed while we, instead, stuck around to speak with anyone we knew there as well as congratulate Chef Cathy for a great demo. What a great way to spread the word about LUCCA Cafe huh? I hope to see more demos soon! Photography by Duc Duong. More photos available on Facebook.